Bristol Rovers striker Ellis Harrison has agreed a one-month loan deal with fellow League Two side Hartlepool. Harrison, 21, will join up with Pools on Monday having scored a winning penalty for his parent club in a 2-1 win at Oxford United on Sunday. 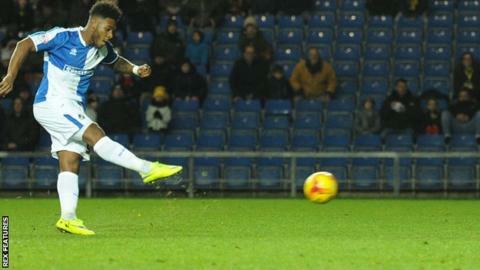 The Wales under-21 international has scored six goals for Rovers this season in 24 appearances. Subject to Football League approval, he could make his Hartlepool debut on Tuesday against Accrington Stanley.